This site was developed for a local construction company based in Buffalo, NY. 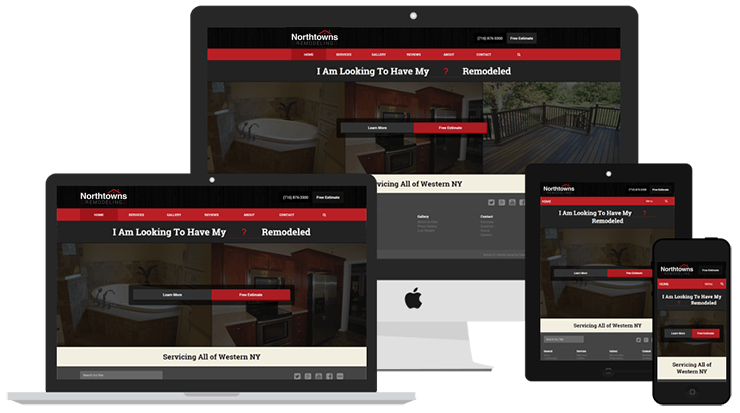 Northtowns Remodeling Corp. is a client that has been with us since the very beginning. This is the fourth site redesign we have done for them which has single-handedly increased the company sales significantly. We completely revamped the company's brand and placed more of a focus on bathroom and kitchen remodeling. 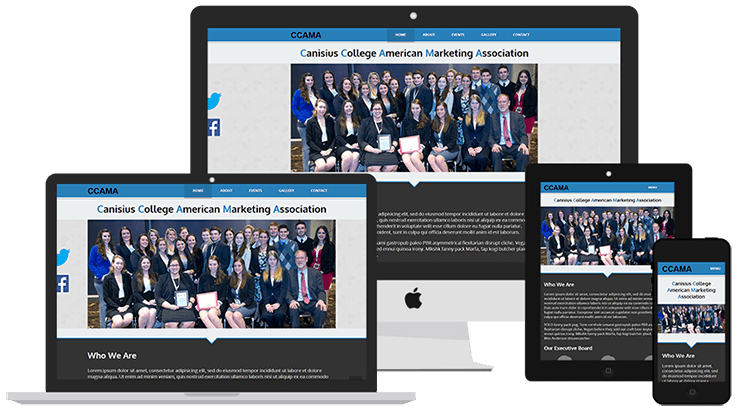 This site was created for the American Marketing Association of Canisius College. We focused on creating a fairly flat user-interface to allow for content and images to be the main focal point on each page. They needed this site to help inform students of the organization while giving them useful information to show students why it would be beneficial for them to join. 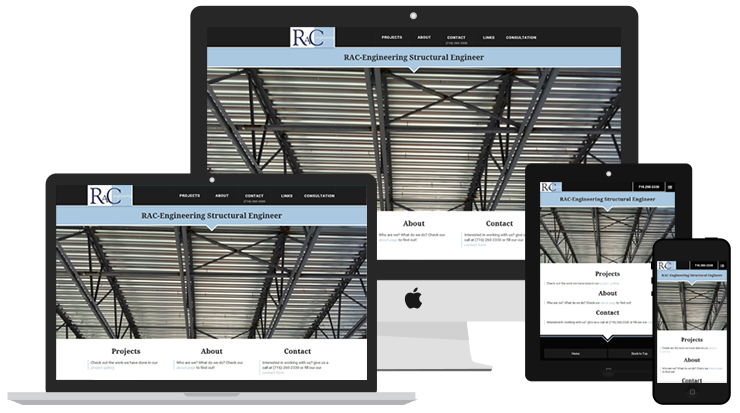 This site was made for a Structural Engineer located in Buffalo, NY. The owner needed a site where they could display their work and grow their online presence. They had not focused on their online identity before we stepped in to help them. Their company now has a healthy presence on the Internet and their website helps legitimize their business to those working for a structural engineer. 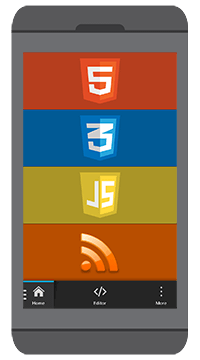 We worked closely with the site owner on the front-end responsive experience. This was an interesting project we had at hand. The site owner is a very talented back-end developer, so we worked closely with him in creating a user-friendly fully responsive front-end experience. 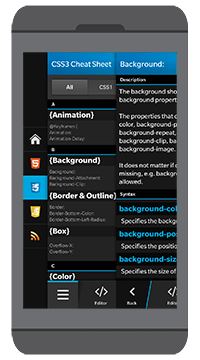 We also took part in helping the developer with the front-end design of the BlackBerry® 10 App. 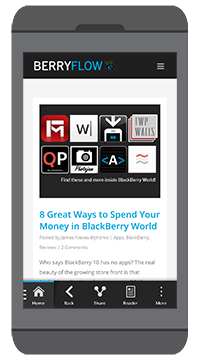 WDCS is a Built for BlackBerry Certified Application developed for BlackBerry® 10. 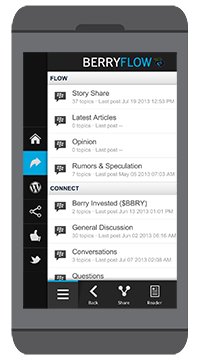 BeFlow is a Built for BlackBerry Certified Application developed BlackBerry® 10. This is the official app for BerryFlow.com. 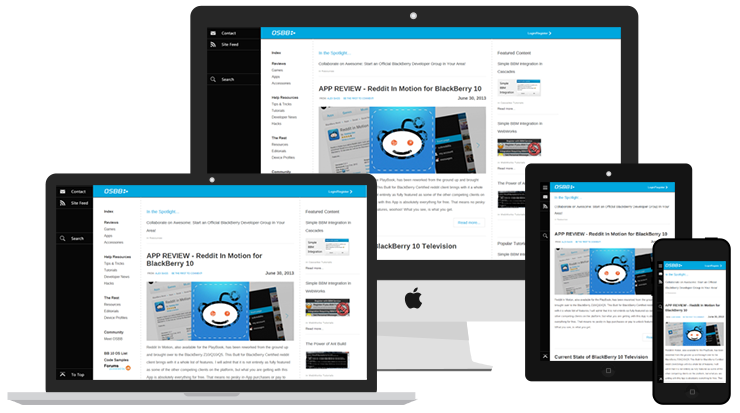 It includes News, Forums, WordPress Connect, App/Reviews, and more. It was made using the Native Cascades framework as the main shell, with WebViews to pull in the content for each section. This is a FREE application. The client wanted an App that would make his website more easily accessible on mobile for their target demographic (BlackBerry 10 Users).